More than 100 Solitaire games for less than $20. 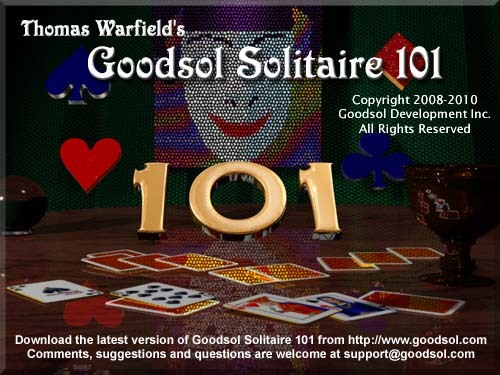 Goodsol Development has released Goodsol Solitaire 101 version 2.02 for both Windows and Mac OS X. This maintenance update fixes every reported bug on both platforms. Goodsol Solitaire 101 is a collection of 101 of the most popular types of computer solitaire, plus another bonus 34 games as a bonus for customers. The editions for each platform are functionally equivalent, the game deals are identical, and the saved games are even interchangeable. You can get both the Mac and Windows software for only $19.95! Buy now!